Samford University Cumberland School of Law professor and former dean John L. Carroll has been selected to receive the prestigious 2018 American Inns of Court Professionals Award for the 11th Circuit. He will be presented with the award by Joel Dubina ’73 at the 11th Circuit Annual Judicial Conference in Florida in early May. Headquartered in Alexandria, Virginia, the American Inns of Court fosters excellence in professionalism, ethics, civility and legal skills. The Professionalism Awards are awarded each year, in participating federal circuits, to a lawyer or judge whose life and practice display sterling character and unquestioned integrity, coupled with ongoing dedication to the highest standards of the legal profession and the rule of law. Carroll served in the United States Marine Corps from June 1965 until December 1969 with combat service in Vietnam, achieving the rank of Captain. He received an undergraduate degree from Tufts University, finished his Juris Doctor (J.D.) at Cumberland in 1974 and earned his Master of Laws (LL.M.) degree from Harvard Law School. Early in his career, Carroll served as legal director and attorney for the Southern Poverty Law Center (SPLC) in Montgomery, Alabama, from 1975-84. There he specialized in death penalty cases and class action civil rights litigation. He has made two oral arguments before the United States Supreme Court and 10 arguments before the U.S. Court of Appeals for the 11th Circuit. 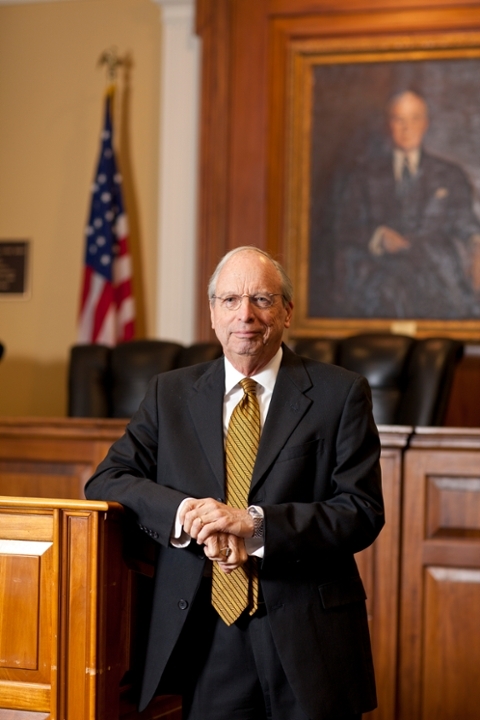 Following his time at the SPLC, Carroll served as a Magistrate Judge for the U.S. District Court for the Middle District of Alabama from 1986 until 2001. He was an appellate judge in the claims process resulting from the 2010 oil spill at the Deepwater Horizon drilling platform. Before taking the bench, he was in private practice in Montgomery, Alabama. Carroll has been a professor at Cumberland since 2001 where he teaches courses in evidence, trial advocacy, mediation, e-discovery and professional responsibility. He served as dean of the law school from 2001-14. Additionally, Carroll has served as acting director of the Alabama Ethics Commission and has taught courses at the University of Alabama School of Law, Georgia State University College of Law and Mercer University School of Law. He is an active Master of the Bench in the Judge James Edwin Horton American Inn of Court. He is a member of the Model Veteran’s Treatment Court Act Drafting Committee for the Uniform Law Commission. In 2016, he received the Veteran of Influence Award from the Birmingham Business Journal.